Get to know the faces of 2 East Wells! In the next couple of weeks, we’ll be introducing you to the exceptional team at one of the best Apartment Communities in Baltimore. While most of you are already familiar with their professional yet sociable persona, here are a few bits of information you may not have known about staff of 2 East Wells. 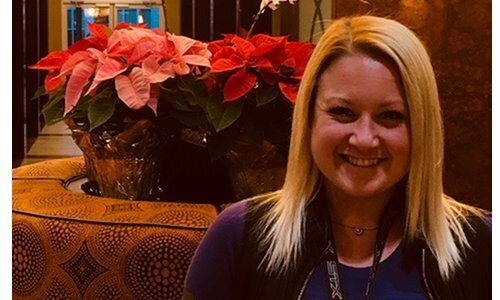 This week, meet Shannon Wissler! 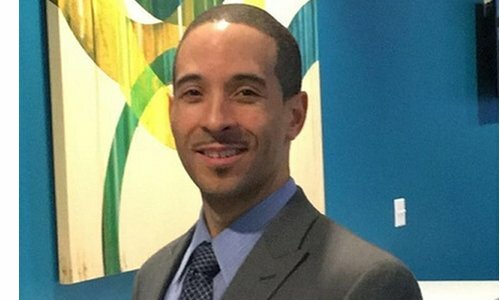 Shannon was born and raised in Magnolia, Delaware and moved to Baltimore in 2017. Believe it or not, Shannon has only been in real estate management for a short time. 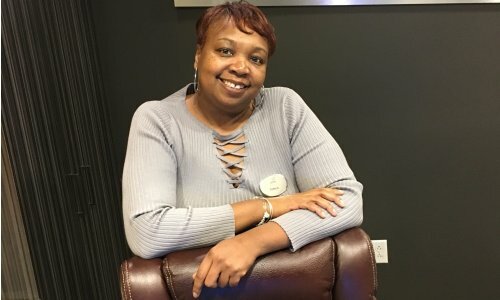 Because she knew she would be living in an apartment community at some point, she decided she wanted to learn the ins-and-outs of the business. She has now been with WPM Real Estate Management for one year, and of that, three months here at 2 East Wells. Her favorite part about this community is showing prospective residents the rooftop deck; she loves to see first-time reactions! Among the multitude of activities, sites, events, and rec life Charm City has to offer, Shannon loves the Baltimore Aquarium and all of the different eateries Baltimore encompasses, where there is something original and different at every turn. Nightlife is also one of Shannon’s current interests, with too many great spots to choose a favorite. Of all the bucket list items out there, Shannon wants to witness something unbelieve, “like an alien or something cool like that!” she says. I think we can all agree that would be quite the check-mark item. 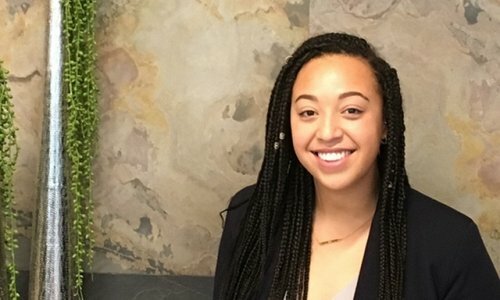 Now that you know a little more about Shannon, be sure to stop in for a chat and find out more about one of the best Leasing Specialists in Baltimore! Continuing with our “Meet the Staff-2nd Edition”, this week features a very special Leasing Specialist, who splits his time between 2 East Wells and our neighbor-sister community, 1901 South Charles. This week, meet Carl Walker! Carl grew up in Baltimore County in Reisterstown. He’s always been interested in Real Estate, but the property management aspect of the business is what intrigued him the most. He loves the residents here at 2 East Wells (and 1901 South Charles) and his favorite part about working at our community is getting to interact with them. Fells Point is great year-round, but Carl particularly likes it in the Spring and Summer, when it’s warm out and the area is filled with people from all over the world! It’s his favorite part of Baltimore. What he loves about our neighborhood here in Federal Hill is the Cross Street Market on game days! Bouncing between 2 East Wells and 1901 South Charles, Carl has the opportunity to enjoy many of the amenities we offer at each community, but it’s 1901’s courtyard that holds his heart. He loves the vast amount of space it offers. Of all bucket list items you could name, Carl wants to stand on top of the Great Pyramid of Giza. Next time you see Carl, ask him about his love of Jungian psychology. Continuing with our “Meet the Staff-3nd Edition”, this week features our very own Concierge at 1901 South Charles. This week, meet Ali Kapustin! Ali grew up in Ellicott City, MD, where she attended Mount Hebron and Marriotts Ridge high school and always enjoyed playing lacrosse at both schools. She’s been with 1901 South Charles and WPM for 6 months now and loves getting to know the residents and staff. Ali is actually a full-time kindergarten teacher, but a friend of hers lives close by and suggested she apply with 1901 as a part-time summer gig. She loved her experience so much she decided to work throughout the school year. Of all things we offer here at 1901, Ali says her favorite part is the coffee! Ali has lived in Baltimore for 5 years and loves being able to walk to friends’ houses and local restaurant favorites. What she loves most about Baltimore, though, is of course the RAVENS! Her favorite part about our neighborhood are the spots to eat and shop: Blue Agave, The Charles, Brightside Boutique, and Metropolitan. When asked her favorite holiday, Ali replied, “Easter. The weather is getting warmer and it’s just a happy holiday!” We agree! Ali is also a bit of a dare devil, next time you see her, ask her about sky diving. Continuing with our “Meet the Staff-4th Edition”, this week features our other Concierge at 1901 South Charles. This week, meet Dawn Brown! Dawn grew up in Baltimore, in South Baltimore (Federal Hill) where she attended Southern high school and enjoyed Rollerskating, biking, swimming and hiking. She just joined us at 1901 South Charles in 2014 but has always been in some part of the field of real estate; first starting in mortgages, then real estate, then title. What she loves most about our community is the residents. “There is always something new and I feel at home here; 1901 is my home,” she says. Dawn loves two amenities we have here at 1901 South Charles, of which she could not pick a favorite: one is the massive court yard and the second is our convenient club room. When asked what she loves about Baltimore, Dawn replied, “My family and friends are here; I can walk anywhere, things are close by. Baltimore is my home, I love the Ravens and the Orioles!” She also enjoys the takeout from Maria D’s and many other local hot spots. Next time you see Dawn, ask her about her grandbabies. Continuing with our “Meet the Staff - 6th Edition”, this week features our Service Technician. This week, meet Aubrey Williams! Aubrey grew up right here in Charm City, where he attended Western School of Technology. He played baseball in school and always had a love for outdoor activities. Growing up in Baltimore, it comes as no surprise that his favorite thing about Charm City is the Ravens. He’s been to a couple of games and loves the atmosphere in the stadium. That, and of course the night life here. He has a few hang out spots in Fells Point and Downtown where you’ll find him enjoying an adult beverage or two on the weekends. 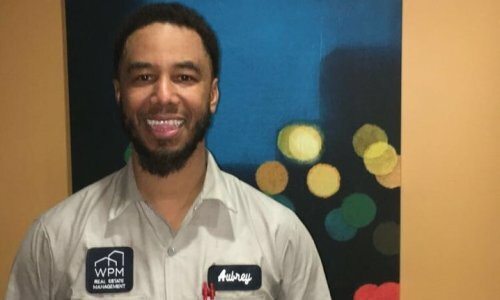 He came to WPM Real Estate with no experience in property management, but he had always wanted to learn how to fix new things, so the maintenance field was a no-brainer. He loves 2 East Wells in particular because he’s gained a lot of experience and knowledge of maintenance in the time he’s been here. He also loves the rooftop deck, where he sometimes eats his lunch. You might spot him over in 1901’s clubhouse, too. Aubrey’s favorite holiday, like many others, is Christmas. “All of the family comes together and I like to see everyone happy and surprised when they receive their presents,” he says. We agree, it’s such a great time of year! One day he would like to travel the world a little more, somewhere outside of the county—preferably Jamaica! Introducing 2 East Wells Concierge, Patrice Sharp! Patrice was born and raised on the East Side of Baltimore City, with her family of 4 brothers and sisters, including Jay who introduced her to our Property Manager, Cristina. Cristina informed Patrice of the career openings at our community and it didn’t take long for her to jump at the opportunity. Patrice started with 2 East Wells and WPM only a few months ago, but fit in right away. 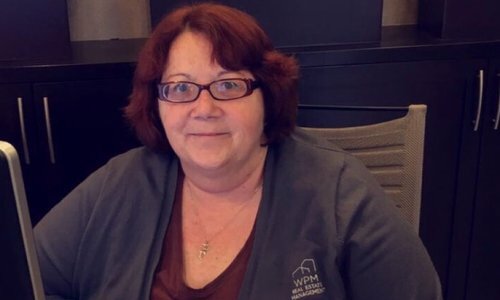 What Patrice loves most about her position in the interaction with her residents, learning about them, and of course their pets, whom she lovingly refers to as “her” fur babies! Like most residents and staff, Patrice loves the FREE coffee. “But everything about the building is my favorite, there is no particular thing, everything is cool. The rooftop is a cool place with great sights and is a nice place to hang out,” she says. Her favorite shopping spot is the White Marsh Mall, and her favorite restaurant is Kaboodoo, the Japanese Steakhouse, located on Rossville Blvd. “I like that they cook in front of you,” she says. She also enjoys the Inner Harbor attractions, which is a nice spot for tourists. “Does my birthday count as a holiday?” Patrice laughs when asked what her favorite holiday was. Otherwise she says her favorite holiday is Christmas, “That’s when all of my family comes together and enjoys each other over the holidays. It’s very festive!” she says. One day she would like to travel to more countries around the world. “I want to go to Hawaii and Italy because they just sound beautiful. So more travel time would be nice. I would love to go to Aruba because they have some really cool looking animals that I’m interested in seeing. I’m scared of them, but I want to see them,” Patrice claims. We couldn’t agree more! This week, meet, Gamel Brown! Gamel is one of our fantastic maintenance workers here at our 1901 South Charles community. He’s a homegrown guy, born and raised here in West Baltimore! 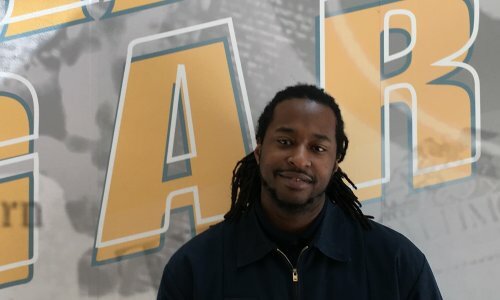 After attending North American Trade School for HVAC, Gamel applied for a maintenance position we had available, landing him right here at 1901 South Charles. His favorite part about working at our community is being able to solve and fix problems for residents, which makes him feel great! Gamel loves his roots and being able to grow up in Baltimore as well as continuing to live here today. He also considers himself very family oriented. And with all of the great activities that Baltimore has to offer, it was a no brainer when Gamel chose the Baltimore Zoo and the Aquarium as his two favorite spots in the city, which he loves to attend with his two children! As someone very familiar with the property, Gamel’s favorite amenity is our green and open courtyard. With its beautiful space and various arrangements, it would be hard to disagree with this!